More than 6,500 self-employed Cambridge workers will benefit from new pension reforms being debated in the House of Commons this week. The reforms are also good news for the city’s army of carers looking after elderly or disabled relatives, giving anyone with 35 years service as a carer a full state pension. 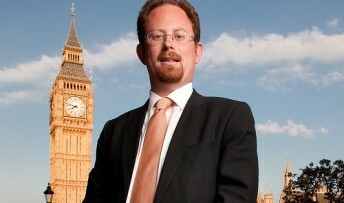 The news has been welcomed by Cambridge MP Julian Huppert who claims the new single tier pension will treat self-employed people and carers fairly for the first time. “Self-employed people and carers work hard and contribute so much to our economy, but they have been treated poorly in the pension system,” he said. “The Lib Dems have worked hard in government to change the system to make it simpler and fairer. Under the previous pension system, Cambridge’s 6,694 self employed people would have missed out on a higher state pension because they could not qualify for the second state pension, despite having paid National Insurance contributions all their lives. They would have been forced to rely on the basic state pension of just £107 a week. The reforms will also treat men and women equally for the first time, with 750,000 women nationally getting an average £9 a week extra within the first 10 years of its introduction. It will be set above the basic level of the means test and will value unpaid caring work just as much as a high-flying city job. The Pensions Bill begins its second reading in the House of Commons today (Monday, June 17).